As smart phones become even more integral to our everyday lives, extra gadgets that increase their functionality just get cooler and cooler. 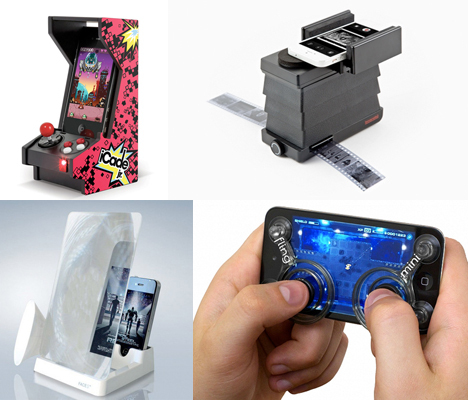 These 15 add-ons for iPhone and Android handsets include arcade housings for gaming, home security devices, photo lenses, sound amplifiers and even wind meters. 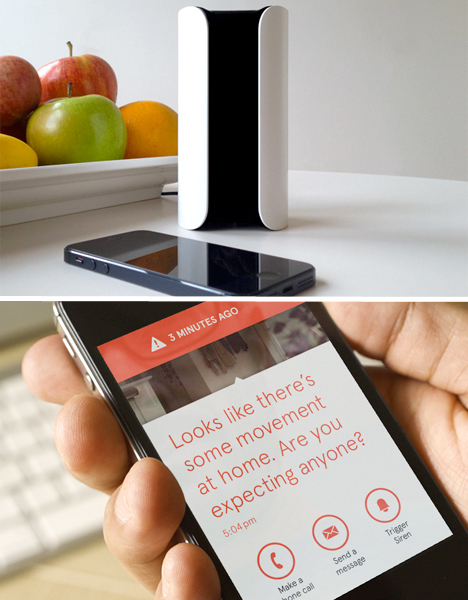 A device the size of a soda can pairs up with your smart phone to keep your home more secure. Canary contains an HD camera with night vision, motion sensors, a microphone, an accelerometer and sensors for heat, humidity and carbon monoxide. In other words, if there’s anything weird going on at your house, you’ll be notified immediately, from intruders to electrical fires. As soon as the device senses that something is amiss, it’ll send you a message, with options like “make a call” or “trigger siren.” Set to retail for $199, the device soared past its Indiegogo funding goal and should begin production shortly. 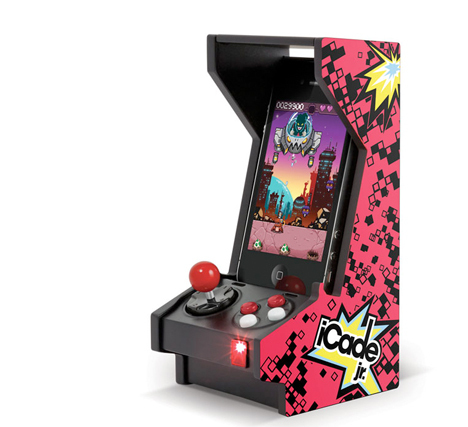 The iCade jr. brings the feel of a (teeny tiny) arcade game to your iPhone. Featuring a joystick and four front buttons, plus four rear trigger buttons, the little cabinet is as functional as it is a conversation piece. 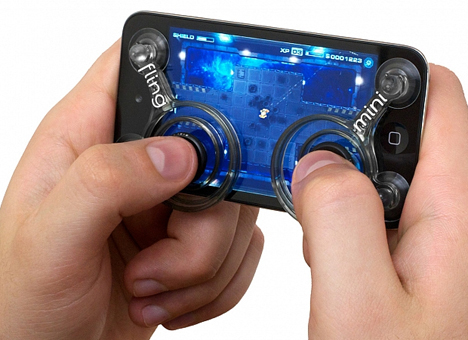 A pair of mini joysticks for iPhone, Android or the iPod touch makes gaming more fun and interactive. 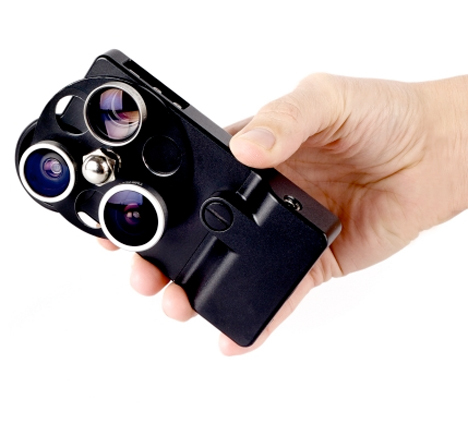 The Fling Mini gives games an analog feel, with clear components that won’t block visuals on the screen. 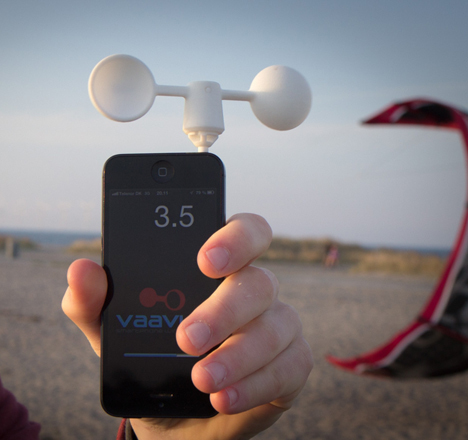 Cyclists, surfers, boaters and people who rely on wind power should take an interest in Vavuud, a wind meter you plug into your smart phone to measure wind speed and wind direction. Made of weather-resistant plastic, it’s been tested and calibrated in a professional wind tunnel and has a range of 1 m/s to 25 m/s. It retails for $44.99.